The best hybrid tyre I've used, it rolls well on tarmac and is sure-footed enough on dry single track where it makes braking reliable. 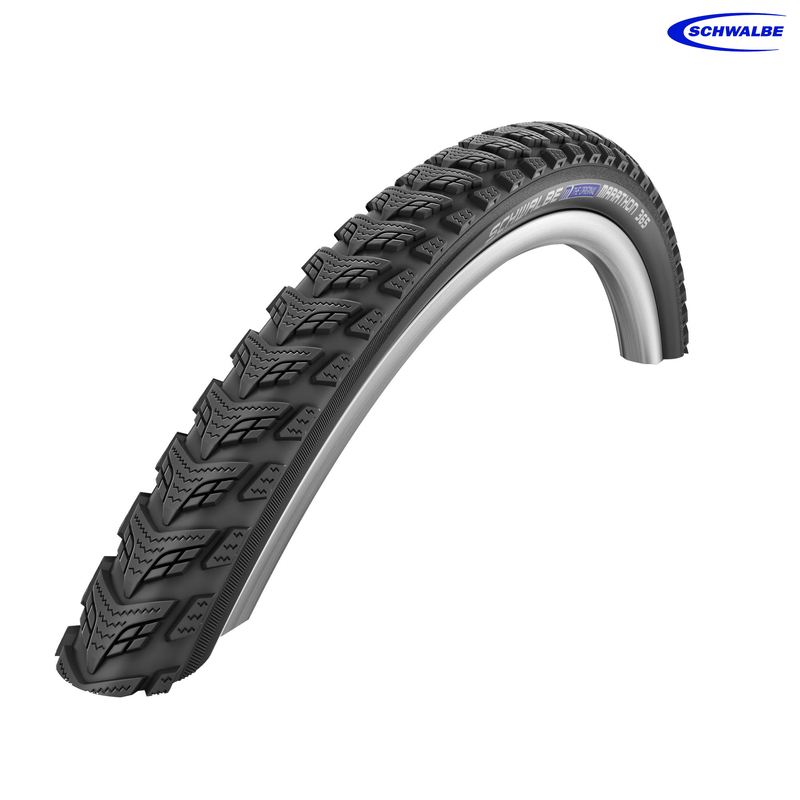 It's a step closer to an off-road tyre than the Schwalbe Land Cruiser. I would guess its only weakness might be edging across steep muddy terrain, but I've stopped doing that stuff! Quite a heavy tyre but its all-round usefulness outweighs this factor.